Happy Birthday Robot is ready to celebrate. The lime green birthday hat has French knot polka dots in red and a red pom pom on the top. The heart on the chest is red and made of felt. 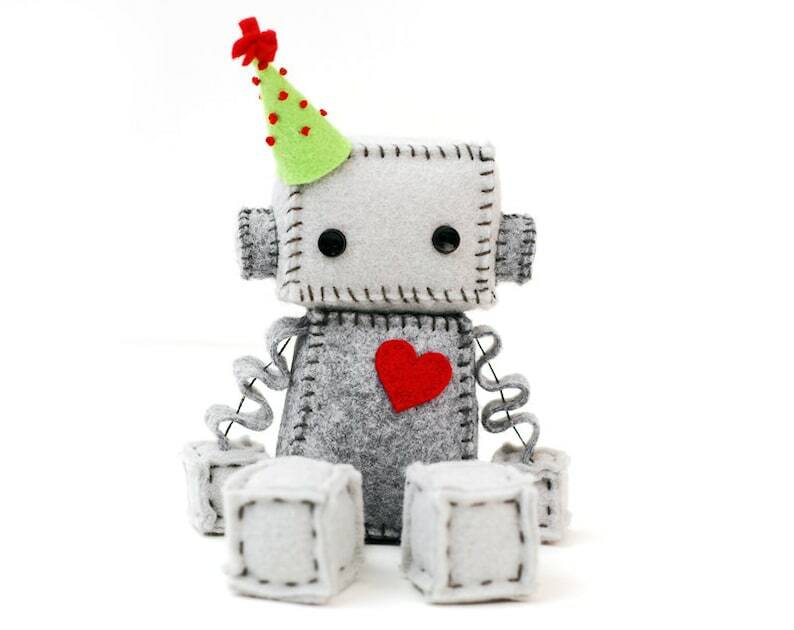 Felt robots are all handmade by me and one of a kind, so expect slight differences. Soooooo cute!! Excellent craftsmanship and speedy delivery!! Thank you! !